Platinum Twisted Nautical bracelet. 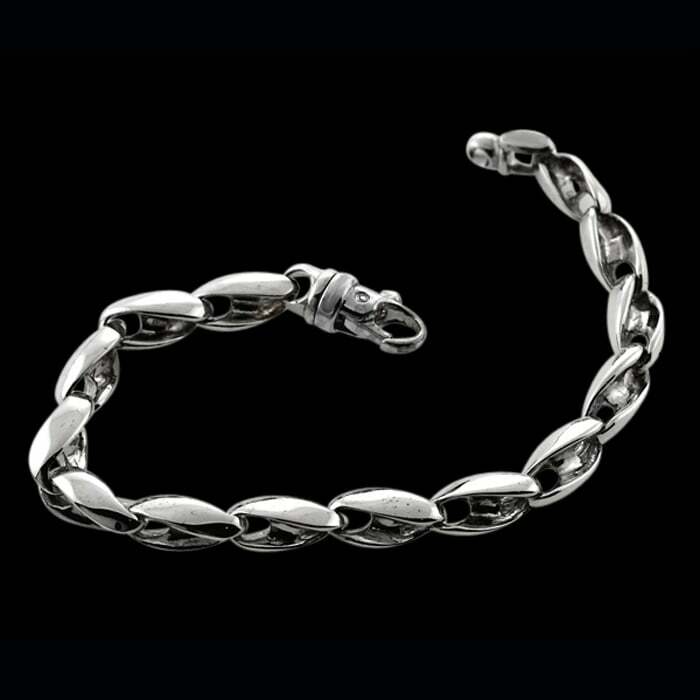 You'll love our beautiful Platinum twisted nautical design chain handmade in luxurious 950 Platinum. Price shown is for the 6.5mm wide bracelet in a suggested 9.25 inch length weighing around 91.65 grams. Our creative artists hand make this design in any custom length, use our request for additional pricing.